The perks of using the USB Hub is that I can leave my Xim near my Xbox on the other side of the room and just run one cable to the CouchMaster that powers everything. 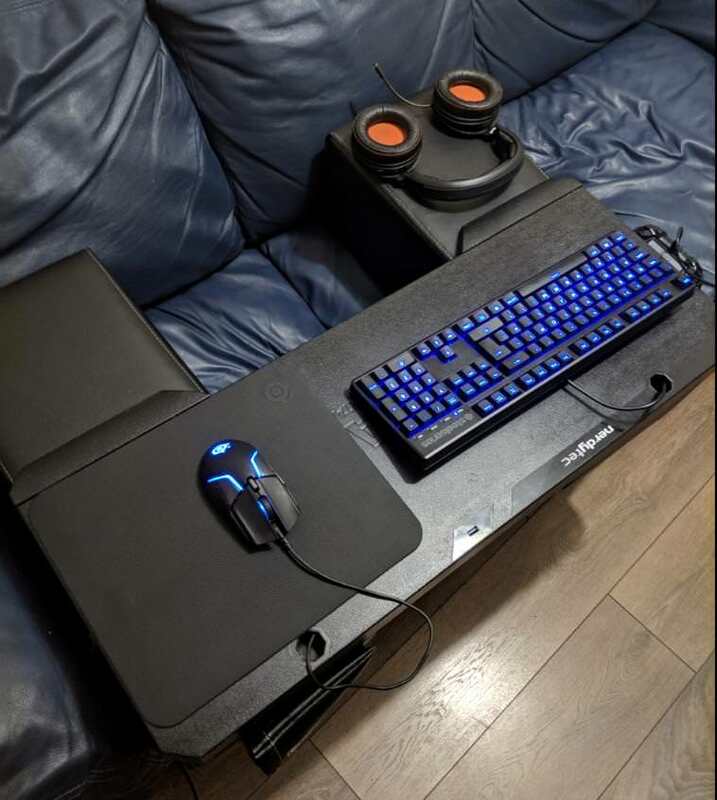 It didn't require any extra power cables and the xim was able to power all the peripherals going through the CouchMaster. Re: [REVIEW] My setup with the CouchMaster Cycon! The ashtray for spent joints is awesome, great job. I use the Corsair lapboard, its dialed. i also got the couch master and im very happy with it. Can you tell me how you are using the couch master build in hub with the xim apex? Do you connect the xim apex straight away with build in couch master hub? So you are not using the default xim apex hub at all? Wondering how you set it up. Funny you say that I actually updated the thread like an hour ago saying that I didn't even bother taking the hub out the box. I just plug the Apex in and the CouchMaster directly into the back of the Apex. One x <--- xim apex <--- extension cable from nerdy tech <--- into couch master <--- mouse kb and controller directly into couch master as well. With the apex no power . I suppose due usb 2 trough usb 3 so im very curious how u got it working. Im using a logitech g502 mouse and g15 kb. There should be no issues. UBS 3.0 is backwards compatible. There are plenty of people that use USB 3.0 hubs here. Looking at the G15 keyboard it looks quite power hungry. It might be causing power draw issues when going through Apex and the CouchMaster at the same time. I used 2 different mice and 2 different keyboards, with the xim4 and the xim apex without any issues. You could try powering the hub that's inside the CouchMaster. Something to do with the fast charging circuitry involved. $30 3.0 hub didn't work, $10 usb 2.0 worked flawless. UBS 3.0 is backwards compatible. You know, that's what I thought but the Compatibility post for the post literally says that all USB 3.0 hubs won't work. I was pretty surprised by that.Thankfully I don't need a hub of any sort.